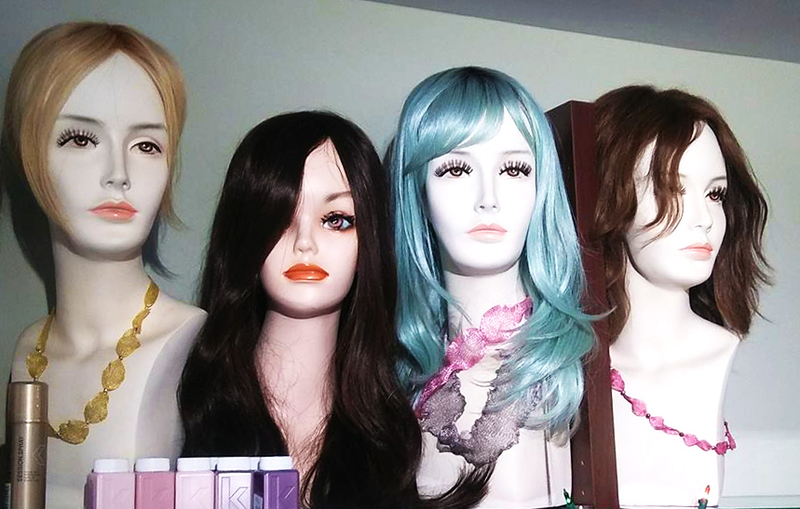 We believe a wig or hairpiece should suit your bone structure, coloring and lifestyle. In the comfort and privacy of our Styling suite, we will help you choose the right hairpiece that looks natural and stylish. Our Renaissances, Gem and Syntress enhancements are hand tied human hair or Syntress strands, we offer a full selection of premium product. Hair Solutions provides professional services for human and manmade hairpieces to ensure a natural look. To make an appointment, visit our online scheduling platform, Schedulicity.